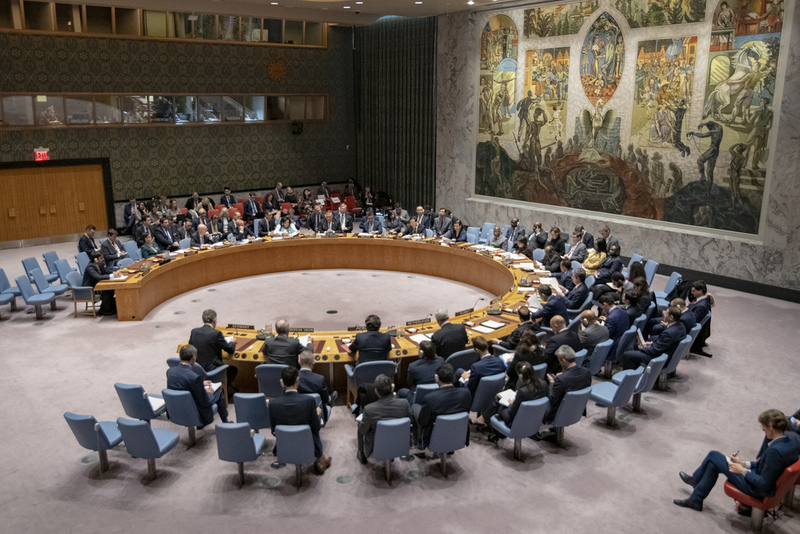 The United States has blocked a proposed U.N. Security Council statement which would have criticized Israel for ending the Temporary International Presence in Hebron’s (TIPH) mandate. In January, Israeli Prime Minister Benjamin Netanyahu announced that he would not renew the mandate for the TIPH, a Norwegian-led organization which Israel has accused of anti-Israel discrimination and infringement on IDF security operations. The proposed statement, circulated by Kuwait and Indonesia, would have expressed the U.N. Security Council’s “regret” over the “unilateral decision,” which they say would harm “efforts to foster calm”and would be antithetical to “protect[ing] the Palestinian civilian population in Hebron” and in the surrounding area. TIPH was established 24 years ago as part of the Oslo Accords, and tasked with “creating a sense of security among the Palestinians in Hebron” by “monitoring and reporting efforts to maintain normal life in the city” following the murder of 29 Arabs in the Tomb of the Patriarchs and Matriarchs by Baruch Goldstein in 1994. The mandate was set to be temporary, and requires Israeli renewal every six months. Israeli Ambassador to the U.N. Danny Danon welcomed the U.S. move at the world body. “There is no place in Israel or anywhere in the world for an international force to harm the country in which it operates. Instead of maintaining order and neutrality, TIPH observers used violence, created friction with the civilian population, and interfered with security forces,” Danon said in a statement. “The United States stands by Israel’s right to not renew TIPH’s mandate and to act on its own accord to ensure stability, without the help of a violent, biased international force. That the Palestinians want to maintain violent observers in Hebron attests to their intentions,” he said.